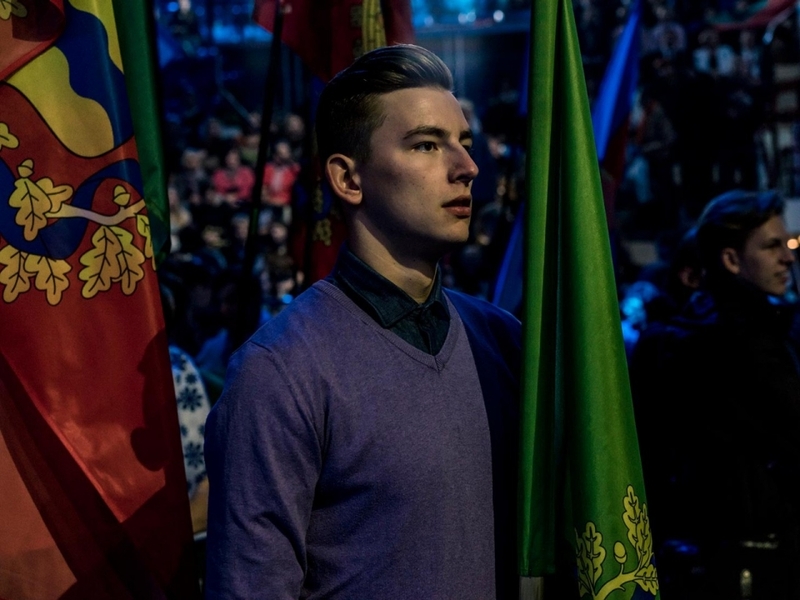 MINSK, Belarus — On a sweltering day in Minsk last summer, Maksim Piakarski and Vadzim Zharomski propped open the windows of the two-room apartment they shared on the outskirts of Minsk, Belarus’ capital, and tried to catch what little breeze they could in the August heat. Within seconds, men in full body armor and helmets who had lowered themselves from the roof leaped through the open windows and ordered Piakarski, 24, and Zharomski, 26, to the floor. More masked men broke open the front door. Confusion and chaos ensued, as the masked men kicked and beat the two and shocked them with stun guns. The apartment was ransacked, and the officers took laptops, books and flash drives. Across town, a similar scenario played out in the apartments of two other young men, who, like Piakarski and Zharomski, were avowed nonviolent social activists. All the young men were hauled off in unmarked cars to be interrogated by the Interior Ministry’s department of organized crime. Viachaslau Kasinerau, 27, said interrogators broke his jaw in two places as they beat him and accused him of being a fascist and neo-Nazi. When it was over, they were charged with hooliganism, facing up to six years in prison if convicted. 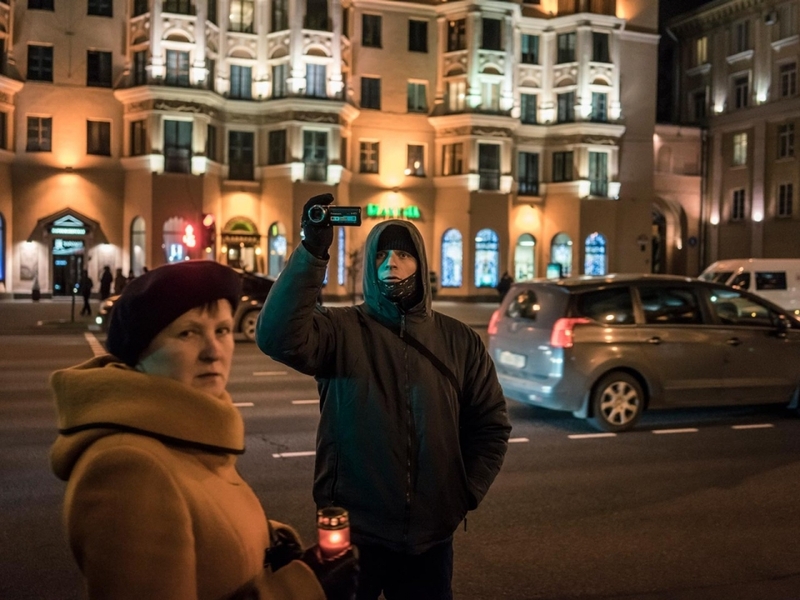 Their crime: spray-painting “the Revolution of Consciousness is already happening” and “Belarus must be Belarusian” in Belarusian across walls of abandoned buildings in the city center. Such anti-regime phrases are not tolerated by President Alexander Lukashenko, who has ruled this nation of 9 million people for the past 22 years. Pictures of the graffiti had gone viral on the Internet, drawing the praise of Belarus’ Western-leaning opposition groups. Human rights organizations immediately declared their case politically motivated. Lukashenko hosted a series of peace talks on Ukraine and shook hands with Western leaders last year, including President Obama at the United Nations General Assembly. He has never recognized Russia’s 2014 annexation of Crimea. When Russia said it wanted to build an airbase in Belarus, Lukashenko remained noncommittal. This summer, he released six political prisoners after nearly five years of pressure from the West. But Belarus’ economy is faltering, and his recent pandering to the West has human rights groups there worried that the West, eager to pull Belarus out of Moscow’s orbit, may forsake a two-decade struggle for democratic reforms by rewarding his recent international public relations success. In November the United States and Europe lifted sanctions against Belarus after a series of steps the West saw as his softening his grip. The International Monetary Fund opened talks for a $3 billion loan package. Since he took office in 1994, his opponents have been imprisoned, gone into exile or simply disappeared. The government denies registration for pro-Western political parties and independent media are all but silenced. Peaceful public protests often end with brutal clashes with the police, mass detentions and exorbitant fines for organizers, participants and even journalists who cover the events. 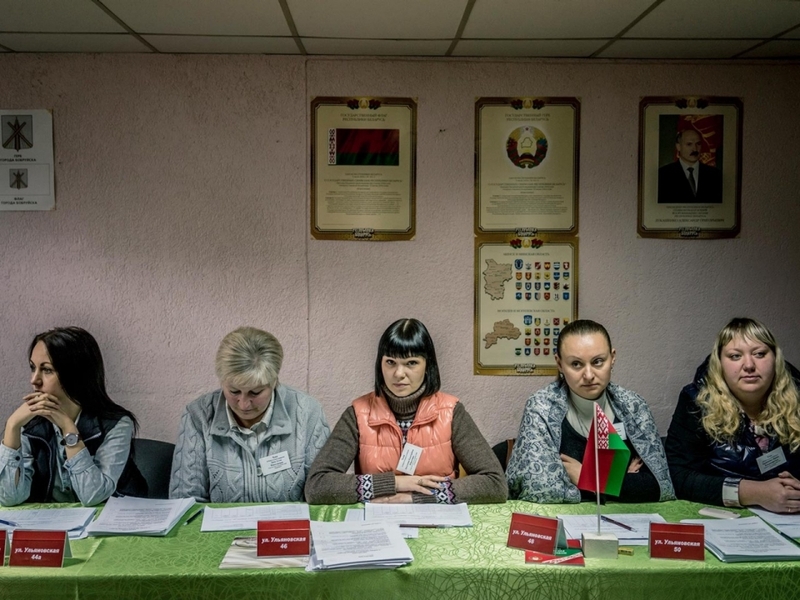 In October he won a fifth term in an election that European monitors said “indicated that Belarus still has a considerable way to go in meeting” its commitments for democratic elections. On the surface, Belarus’ capital seems like a modern European city, albeit filled with Soviet-era relics. There is a bust of Felix Dzerzhinsky, the founder of the Soviet secret police, on the capital’s central street. The state security agency is still known by the Soviet acronym, the KGB, and continues to practice many of the same methods of intimidation and interrogation as its predecessor. Minsk’s streets are clean and well lit, dotted with hip cafes and restaurants. Public transportation and the country’s roads rival those of many other European cities. Belarusians enjoy a higher standard of living than most former Soviet republics, with the average salary hovering around $400 a month. But the economy is heavily reliant on Russia, which sells Belarus gas and oil at discounted prices. Belarus refines the oil and sells it to Europe and uses the gas to keep its citizens warm in the winter and the state-owned factories operating. Russia’s generous subsidies have allowed Lukashenko to keep his Soviet-style economy afloat for two decades. 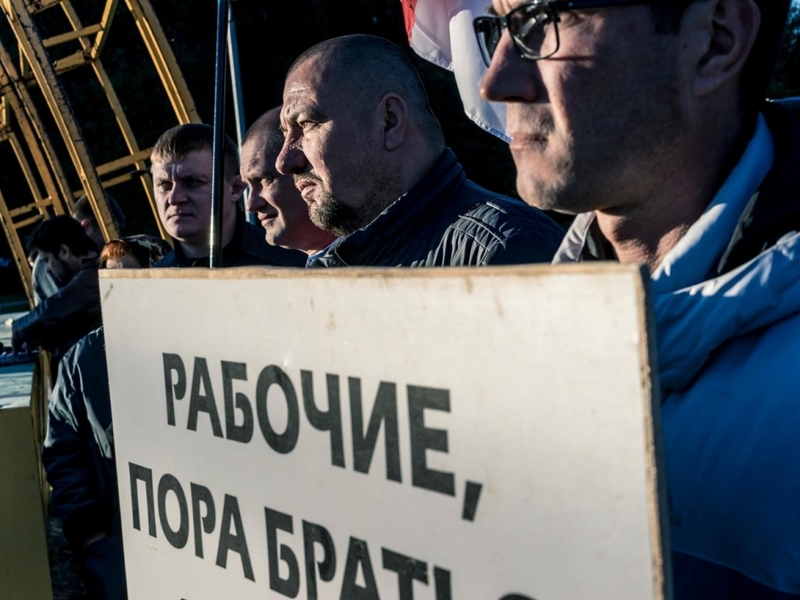 Russia’s faltering economy had a substantial impact on Belarus. Gross domestic product dropped by 3.7 percent in the first three quarters of 2015, and Belarusians saw their savings lose about a third of their value because of currency devaluation. He faces pressure from the east as well. “His choices are limited on [the air base] issue,” said David Marples, a distinguished professor at the University of Alberta. Saying no could cause the Kremlin to increase oil and gas prices. 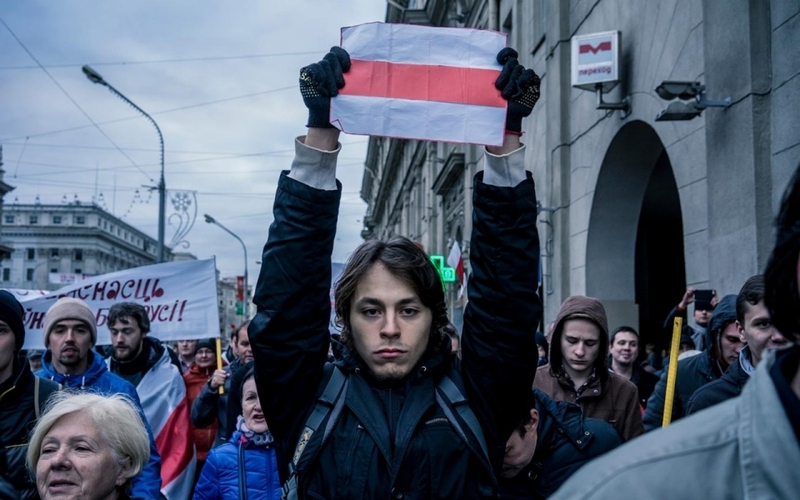 In addition, Russian President Vladimir Putin’s revival of Soviet nostalgia has greatly influenced Belarusians. 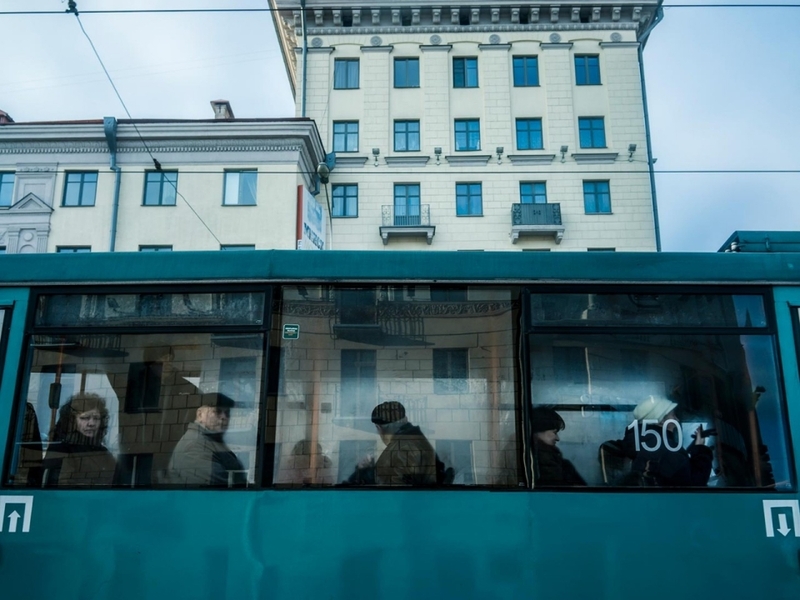 Russian television news, which dominates the airwaves in Belarus, has convinced much of the population that protection from Russia is better than the chaos in Ukraine. Most likely, Lukashenko will try “to put off making a decision on the air base for as long as he can,” Marples said. For those in Belarus hoping the country will tilt west, toward European standards of democracy and rule of law, the struggle seems endless.